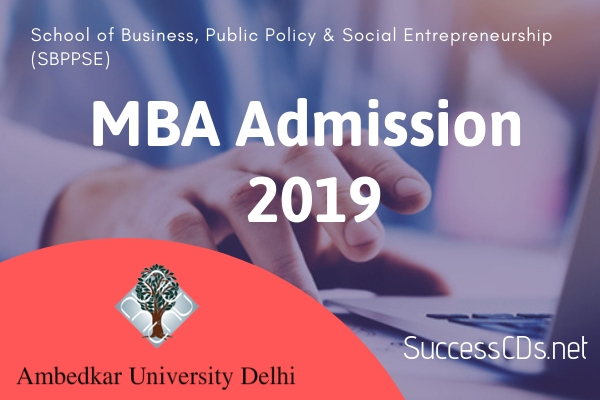 Eligible candidates who interested to apply for Ambedkar University MBA Admission 2019-21 can check important dates, eligibility, application procedure etc on this page given below. Outstation candidates can take the test only at Kashmere Gate Campus of AUD, in Delhi. There will be no other centre in Delhi or outside Delhi. Relaxation of 5% in eligibility will be allowed to candidates from SC/ST/PD categories. Fee for application for admission can be paid by Demand Draft (DD)/Cash/ Online. For detail information for each mode refer to the Admission Bulletin.